Thanks all for the input! I decided to go with the 1.5 reflex rx and am enjoying it. I am finding all of your input to be true. The last couple of days have afforded some quality flying time and I feel as if I am starting to make a successful transition into quads. I have managed good landings and reverses as well as some good "infinity pattern" flying. Even some tip stands when the wind was consistent. Funny how a little success gets you hooked! thanks again to everyone. Glad to hear you're having fun. It gets even better. Added the Djinn to the lead list / post. Aye, Good call and Appreciated. The "s" is missing from Transeye in the list. You should correct that so we don't mislead or confuse newcomers. I won’t be bringing Djinn for sale on the Berkeley field (if I have them by then) out of respect to Highline Kites (no Djinn resale yet) and to Revolution Kites who pays for a learn to fly field and supports the festival as a sponsor, though it might possible to meet somewhere offsite... IF they’re ready by then. 🏁 Great show of respect and a prime example of how to do business as part of a community.. Wish I could like it twice! There are Qunlon and Hengda on eBay besides Freilein and revolution. 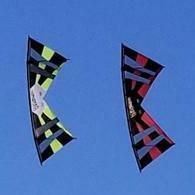 I an OSKUSA Freilein Vertigo from Andy at Ocean Shores Kites. 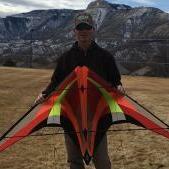 Thanks to Elmo264 I finally got it flying at the kite festival Saturday. I need to figure out how to replace all my Rev kites with Kite Forge kites, though. It's amazing how the kite funds dry up as the kids grow up ! After 20+ years flying rev I got really curious about the Fulcrum and how it flies, its 3D shape and curves, and the fact that looks like a piece of modern art flying. I should be able to tell you more about it this Sunday hopefully. Someone posted on FaceBook about their Fulcrum fittings tearing! Not sure if it was used in too high a wind, but some suggested different fittings that are "stronger"? Can't tell you much about them - only got to try someone else's and that at the wrong time for the kite. I have no idea, but hard to believe what “someone on Facebook” said 😉 got a link? Fittings and spars don’t just fall apart. I’ll tell you when I get one. But knowing Carl I doubt that. Looking, but not finding yet. They had pic of it. Maybe not seated fully, but they stated it happened on both their std and vented models. I’ve had 2 issues with my Fulcrum. 1st one my son was flying it in 5mph wind. He was backing it down from the top of the window and the center section of the light wind frame snapped putting a hole in the kite. Most likely a gust hit the kite that over loaded the frame causing it to snap. 2nd issue was my error in disassembling the kite. While pulling out the “leading edge” I broke one of the inner upright spars. Make sure you hold them firmly when pulling the leading edge out. My Fulcrum was one of the first ones sold and they switched to a stronger tube to reduce the risk of this happening. When I ordered the part from Kites and Fun Things they sent me 2 so I could change the other one out too. Fun kite to fly have fun. Well Carl does recommend to push those fittings “all the way in” in the assembling video, might have been that. I don't see the pic, my computer skills are minimal, search doesn't turn up anything. I believe it was someone that is in Europe that made the post with pic of torn fitting. At Fuerteventura?? That looks pretty bad. I hope they fixed the issue with better fittings or a cap on that spar. Maybe wrong assembly?